To many people, hashtags are often seen as pointless or useless. This is even more so to those that are new to social media and how it operates. However, if you are an artist or a band that is just starting up, hashtags can be very useful. For those bands or artists out there that want to gain fans, become popular, and build a following, not using them can make a huge difference. In the world of online communication, hashtags are the way people find what they are looking for, communicate and discover information. Hashtags are here and are very popular. In case you don’t know, a hashtag is a phrase or word which is preceded by a hash or pound sign (#). Hashtags are found mostly on social media sites such as Facebook and Twitter. The hashtags phrases or words, are used by the online world as way to identify messages on a specific topic or trend. It doesn’t really matter what it is, by using a hashtag, you can categorize, find something or tag anything. Whether it’s a video, image, or a Tweet, you can use hashtags for everything. For those looking for for certain kind of music or topics, they can simply type #NewMusic or #NewBands. In an instant, any Tweet, photo, video or post tagged with those hashtags, can be visible. Hashtags are very important for anyone looking for anything in specific on the world wide web or social media. But for new or aspiring artists, hashtags are even more essential and necessary. By adding the hashtags to your recordings or works, people all over the world, who may not otherwise hear about you or your work, can find you. In a time where anything can go viral in an instant, having your work promoted for free via social media matters. In fact, it can mean the difference between you making it or not sometimes. 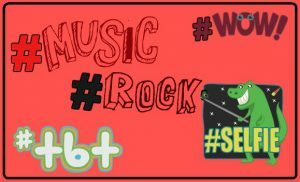 There have been numerous artist and bands, which have been discovered or became more popular, due to using hashtags. One of the best methods new bands or artists have for making new fans, is via the use of hashtags. It can also lead to increasing your fanbase as well. All it takes is simply posting a 15 or 20 second video clip of your Diplo cover. You can then post it on sites such as Vine, Twitter or Instagram. Once you add the hashtag #Diplo, it is bound to be seen by thousands. If your music, video or material is any good, you are sure to get many who will ‘like,’ ‘Re-Tweet,’ or share your post. Best of all, you are likely to gain new followers and fans as well. One thing to keep in mind when using hashtags, though. Always make sure you keep them relevant to the material it contains. There are also numerous tools people use to help them find what hashtags are trending. You can use Keyhole, Tagboard, and Hashtagify to help you find out what tags are currently trending the most on social media and online. 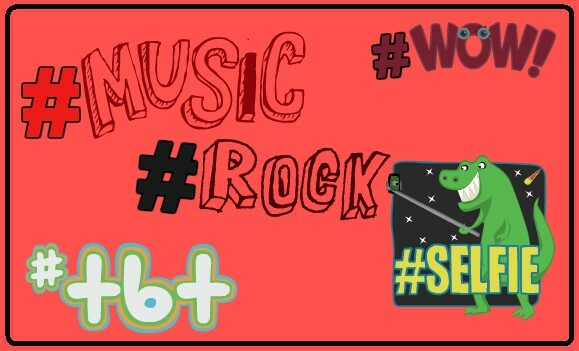 The best thing about using and creating hashtags to promote yourself, band, or work, is that they are so easy to do. Just remember to follow these recommendations. Avoid using too #Many #Different #Hashtags on a post. If you add too many different hashtags to a video clip or your work, it can be harder for users to follow the conversation. Use a certain hashtag, for that particular category or topic. Keep your hashtags as short as possible. Many people end up losing fans or followers because they end up doing #HashtagsWhichAreTooLongToRead or follow. Simple, and to the point, is best. Use capital letters since they will make your hashtags stand out and be more visually appealing. Also, capital letters make them easier to read. However, you also need to be careful about the usage of capitalization in certain words. Sometimes, in certain words, it can lead to your hashtags being misread or misinterpreted. Avoid using asterisks, punctuation marks and special characters since they will not work anyway. 5 Remember that there is a huge difference between putting @ in front of a word, and the pound #. Lastly, try and avoid tagging, or using the same hashtag, twice in the same post. Example #AmbientMixer is cool. #AmbientMixer has great info.